The Supreme Court (SC) has denied the appeal of ousted Chief Justice Maria Lourdes Sereno to reverse its May 11, 2018 decision in favor of the quo warranto. A report from Inquirer today, June 19 also confirms the information on SC’s decision on the motion for reconsideration filed by the ousted chief justice. With the same result of vote of 8-6, the High Court denied Sereno’s plea, according to a Court insider says reports. 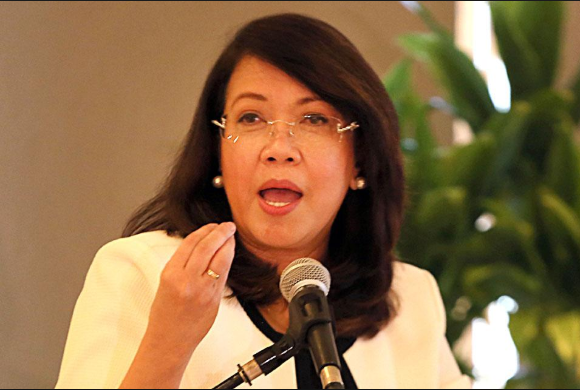 The former Chief Justice was removed from her office on May 11 through a quo warranto that was filed by Solicitor General Jose Calida which invalidated Sereno’s appointment in SC. The SC disqualified Sereno from the post due to her lack of proven integrity due to her failure to submit her complete statements of assets, liabilities and net worth (SALNs) when she was still teaching at the University of the Philippines. In her motion for reconsideration, Sereno insisted for inhibition of the six justices she accused of being biased against her: Associate Justices Teresita Leonardo-de Castro, Diosdado Peralta, Lucas Bersamin, Francis Jardeleza, Noel Tijam and Samuel Martires. On Tuesday, on its comment, the Office of the Solicitor General (OSG) asked SC to deny Sereno’s appeal. “A dispassionate examination of the 1987 Constitution will dispel the fallacies of argument mounted against the removal, through a quo warranto proceeding, of impeachable officers like [Sereno]. There is no denying that Section 5(1), Article VIII of the Constitution grants the Court (SC) original jurisdiction over quo warranto petitions. “The subject matter of the quo warranto petition before the [SC] is [Sereno’s] ineligibility to be appointed Chief Justice. It does not revolve on any impeachable offense that she may have committed. Assuming that the articles of impeachment will be submitted to the Senate, that body is not authorized to resolve the issue of [her]ineligibility because it is not an impeachable offense,” the OSG explained. The OSG also said that Sereno’s claims about biased justices are all mere “speculations and surmise” and there was no clear evidence to show bias on the part of the court justices who voted to oust her. Now that Sereno is permanently out, Senior Associate Justice Antonio Carpio will remain as the Acting Chief of Justice (JBC) until the Judicial and Bar Council (JBC) hires new Chief Justice. JBC will definitely have its hands full when it starts to screen applicants for Sereno’s replacement, it will also screen new applicants for Ombudsman and other SC vacant positions due to back-to-back retirements of its employees. Now that Sereno’s case has been decided, SC and other critics of the administration are also expected to move on. The vocal employees of the High Court will now be relieved that the case is already settled.